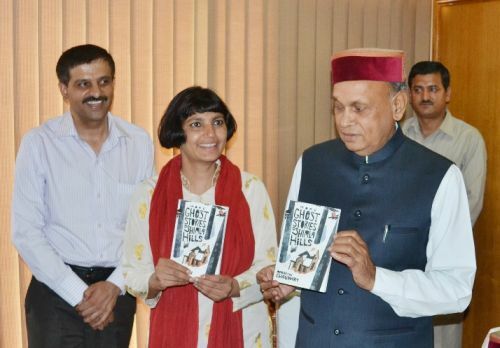 Chief Minister Prem Kumar Dhumal released the book titled More Ghost Stories of Shimla Hills written by Minakshi Chaudhry here today. This book is follow up of Ghost Stories of Shimla Hills written by Minakshi Chaudhry which was published in 2005. This is eleventh book of the writer. She has written other books on various aspects of the State. 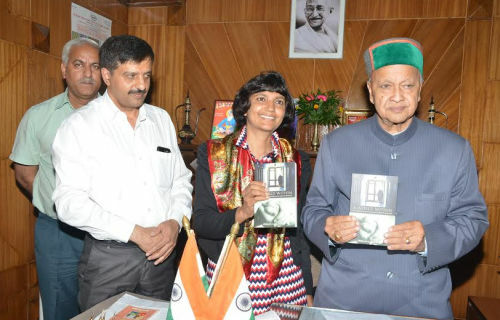 Chief Minister lauded the efforts of the writer Minakshi Chaudhry on bringing out the book and extend the hope this work inspire other writers to write on Himachal Pradesh which was store of rich cultural heritage, historical facts also above all the beauty that nature had bestowed on Himachal Pradesh. According to Minakshi Chaudhry, Shimla was the perfect place for these supernatural beings to survive the onslaught of modern times. Dark moonless nights, lonely stretches, mist enveloping hills and valleys, something howling in the faraway jungle—everything in Shimla Hills gives an appearance of these unearthly beings. In these sixteen stories readers will encounter ghosts, who wander in the Shimla hills. These stories also tell us about the cultural and religious life of hill people. These tales based on facts and experiences shared by people, have been narrated in a fictionalized way.